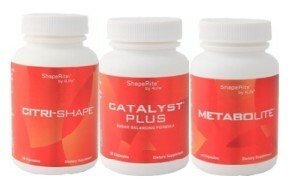 The Citri-Shape Trio, featuring Citri-Shape®, Catalyst Plus® and MetaboLite™, provides a synergistic effect for weight management and appetite control. Citri-Shape helps control the appetite by utilizing an effective fruit extract from Asia called garcinia cambogia. A great option for those who want an effective, non-thermogenic product. Catalyst Plus combines the effectiveness of gymnema and chromium with additional ingredients to promote healthy appetite control, balance glucose levels, and support overall energy.